A growing body of analysts believe that no, the Muslim faith cannot do these things, that these features are inherent to Islam and immutably part of its makeup. Asked if she agrees with my formulation that "radical Islam is the problem, but moderate Islam is the solution," the writer Ayaan Hirsi Ali replied, "He's wrong. Sorry about that." She and I stand in the same trench, fighting for the same goals and against the same opponents, but we disagree on this vital point. 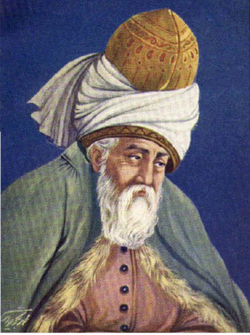 Rumi (1207-73), a leading mystic of Islam. To state that Islam can never change is to assert that the Koran and Hadith, which constitute the religion's core, must always be understood in the same way. But to articulate this position is to reveal its error, for nothing human abides forever. Everything, including the reading of sacred texts, changes over time. Everything has a history. And everything has a future that will be unlike its past. Only by failing to account for human nature and by ignoring more than a millennium of actual changes in the Koran's interpretation can one claim that the Koran has been understood identically over time. Changes have applied in such matters as jihad, slavery, usury, the principle of "no compulsion in religion," and the role of women. Moreover, the many important interpreters of Islam over the past 1,400 years—ash-Shafi'i, al-Ghazali, Ibn Taymiya, Rumi, Shah Waliullah, and Ruhollah Khomeini come to mind—disagreed deeply among themselves about the content of the message of Islam. However central the Koran and Hadith may be, they are not the totality of the Muslim experience; the accumulated experience of Muslim peoples from Morocco to Indonesia and beyond matters no less. To dwell on Islam's scriptures is akin to interpreting the United States solely through the lens of the Constitution; ignoring the country's history would lead to a distorted understanding. Put differently, medieval Muslim civilization excelled and today's Muslims lag behind in nearly every index of achievement. But if things can get worse, they can also get better. Likewise, in my own career, I witnessed Islamism rise from minimal beginnings when I entered the field in 1969 to the great powers it enjoys today; if Islamism can thus grow, it can also decline. 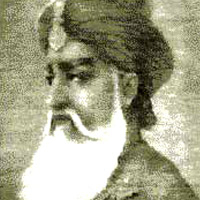 Shah Waliullah (1703-62) a leading thinker of Indian Islam. Key to Islam's role in public life is Sharia and the many untenable demands it makes on Muslims. Running a government with the minimal taxes permitted by Sharia has proved to be unsustainable; and how can one run a financial system without charging interest? A penal system that requires four men to view an adulterous act in flagrante delicto is impractical. Sharia's prohibition on warfare against fellow Muslims is impossible for all to live up to; indeed, roughly three-quarters of all warfare waged by Muslims has been directed against other Muslims. Likewise, the insistence on perpetual jihad against non-Muslims demands too much. To get around these and other unrealistic demands, premodern Muslims developed certain legal fig leaves that allowed for the relaxation of Islamic provisions without directly violating them. Jurists came up with hiyal (tricks) and other means by which the letter of the law could be fulfilled while negating its spirit. For example, various mechanisms were developed to live in harmony with non-Muslim states. There is also the double sale (bai al-inah) of an item, which permits the purchaser to pay a disguised form of interest. Wars against fellow Muslims were renamed jihad. One major way in which studies of law have proceeded has been to "compare doctrine with the actual practice of the court." As one scholar discussing scriptural and legal texts notes, "Social patterns were in great contrast to the 'official' picture presented by these 'formal' sources." Studies often juxtapose flexible and relatively fair court outcomes with an undifferentiated and sometimes harshly patriarchal textual tradition of jurisprudence. We are shown proof of "the flexibility within Islamic law that is often portrayed as stagnant and draconian." While the medieval synthesis worked over the centuries, it never overcame a fundamental weakness: It is not comprehensively rooted in or derived from the foundational, constitutional texts of Islam. Based on compromises and half measures, it always remained vulnerable to challenge by purists. Indeed, premodern Muslim history featured many such challenges, including the Almohad movement in 12th-century North Africa and the Wahhabi movement in 18th-century Arabia. In each case, purist efforts eventually subsided and the medieval synthesis reasserted itself, only to be challenged anew by purists. This alternation between pragmatism and purism characterizes Muslim history, contributing to its instability. The de facto solution offered by the medieval synthesis broke down with the arrival of modernity imposed by the Europeans, conventionally dated to Napoleon's attack on Egypt in 1798. This challenge pulled most Muslims in opposite directions over the next two centuries, to Westernization or to Islamization. Muslims impressed with Western achievements sought to minimize Sharia and replace it with Western ways in such areas as the nonestablishment of religion and equality of rights for women and non-Muslims. The founder of modern Turkey, Kemal Atatürk (1881-1938), symbolizes this effort. Until about 1970, it appeared to be the inevitable Muslim destiny, with resistance to Westernization looking rearguard and futile. 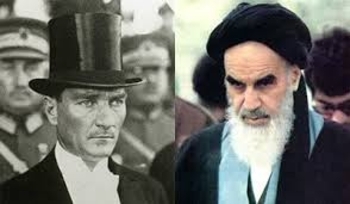 Their views of Islam differed as much as their appearances: Atatürk (left) and Khomeini. But that resistance proved deep and ultimately triumphant. Atatürk had few successors and his Republic of Turkey is moving back toward Sharia. Westernization, it turned out, looked stronger than it really was because it tended to attract visible and vocal elites while the masses generally held back. Starting around 1930, the reluctant elements began organizing themselves and developing their own positive program, especially in Algeria, Egypt, Iran, and India. Rejecting Westernization and all its works, they argued for the full and robust application of Sharia such as they imagined had been the case in the earliest days of Islam. Though rejecting the West, these movements—which are called Islamist—modeled themselves on the surging totalitarian ideologies of their time, Fascism and Communism. Islamists borrowed many assumptions from these ideologies, such as the superiority of the state over the individual, the acceptability of brute force, and the need for a cosmic confrontation with Western civilization. They also quietly borrowed technology, especially military and medical, from the West. Through creative, hard work, Islamist forces quietly gained strength over the next half century, finally bursting into power and prominence with the Iranian revolution of 1978–79 led by the anti-Atatürk, Ayatollah Khomeini (1902-89). This dramatic event, and its achieved goal of creating an Islamic order, widely inspired Islamists, who in the subsequent 35 years have made great progress, transforming societies and applying Sharia in novel and extreme ways. For example, in Iran, the Shiite regime has hanged homosexuals from cranes and forced Iranians in Western dress to drink from latrine cans, and in Afghanistan, the Taliban regime has torched girls' schools and music stores. The Islamists' influence has reached the West itself, where one finds an increasing number of women wearing hijabs, niqabs, and burqas. Although spawned as a totalitarian model, Islamism has shown much greater tactical adaptability than either Fascism or Communism. The latter two ideologies rarely managed to go beyond violence and coercion. But Islamism, led by figures such as Turkey's Premier Recep Tayyip Erdoğan (1954-) and his Justice and Development Party (AKP), has explored nonrevolutionary forms of Islamism. Since it was legitimately voted into office in 2002, the AKP gradually has undermined Turkish secularism with remarkable deftness by working within the country's established democratic structures, practicing good government, and not provoking the wrath of the military, long the guardian of Turkish secularism. The Islamists are on the march today, but their ascendance is recent and offers no guarantees of longevity. Indeed, like other radical utopian ideologies, Islamism will lose its appeal and decline in power. Certainly the 2009 and 2013 revolts against Islamist regimes in Iran and Egypt, respectively, point in that direction. If Islamism is to be defeated, anti-Islamist Muslims must develop an alternative vision of Islam and explanation for what it means to be a Muslim. In doing so, they can draw on the past, especially the reform efforts from the span of 1850 to1950, to develop a "modern synthesis" comparable to the medieval model. This synthesis would choose among Shari precepts and render Islam compatible with modern values. It would accept gender equality, coexist peacefully with unbelievers, and reject the aspiration of a universal caliphate, among other steps. Here, Islam can profitably be compared with the two other major monotheistic religions. A half millennium ago, Jews, Christians, and Muslims all broadly agreed that enforced labor was acceptable and that paying interest on borrowed money was not. Eventually, after bitter and protracted debates, Jews and Christians changed their minds on these two issues; today, no Jewish or Christian voices endorse slavery or condemn the payment of reasonable interest on loans. 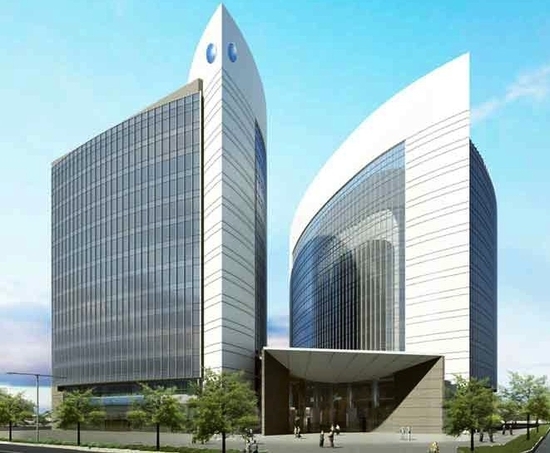 The planned building for the Abu Dhabi Islamic Bank, one of the world's largest no-interest financial institutions. Reformist Muslims must do better than their medieval predecessors and ground their interpretation in both scripture and the sensibilities of the age. For Muslims to modernize their religion they must emulate their fellow monotheists and adapt their religion with regard to slavery and interest, the treatment of women, the right to leave Islam, legal procedure, and much else. When a reformed, modern Islam emerges it will no longer endorse unequal female rights, the dhimmi status, jihad, or suicide terrorism, nor will it require the death penalty for adultery, breaches of family honor, blasphemy, and apostasy. 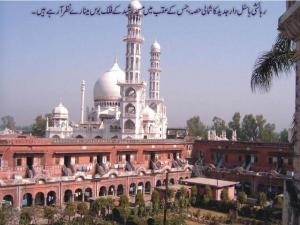 Darul Uloom Deoband, a bastion of Islamist thinking in India. Saudi Arabia's Shura Council has responded to rising public outrage over child marriages by setting the age of majority at 18. Though this doesn't end child marriages, it moves toward abolishing the practice. Nadin al-Badir and the first lines of her 2009 call for polyandry. All the while, individual reformers churn out ideas, if not yet for adoption then to stimulate thought. For example, Nadin al-Badir, a Saudi female journalist, provocatively suggested that Muslim women have the same right as men to marry up to four spouses. She prompted a thunderstorm, including threats of lawsuits and angry denunciations, but she spurred a needed debate, one unimaginable in prior times. Like its medieval precursor, the modern synthesis will remain vulnerable to attack by purists, who can point to Muhammad's example and insist on no deviation from it. But, having witnessed what Islamism, whether violent or not, has wrought, there is reason to hope that Muslims will reject the dream of reestablishing a medieval order and be open to compromise with modern ways. Islam need not be a fossilized medieval mentality; it is what today's Muslims make of it. What can those, Muslim and non-Muslim alike, who oppose Sharia, the caliphate, and the horrors of jihad, do to advance their aims? For anti-Islamist Muslims, the great burden is to develop not just an alternative vision to the Islamist one but an alternative movement to Islamism. The Islamists reached their position of power and influence through dedication and hard work, through generosity and selflessness. Anti-Islamists must also labor, probably for decades, to develop an ideology as coherent and compelling as that of the Islamists, and then spread it. Scholars interpreting sacred scriptures and leaders mobilizing followers have central roles in this process. Non-Muslims can help a modern Islam move forward in two ways: first, by resisting all forms of Islamism—not just the brutal extremism of an Osama bin Laden, but also the stealthy, lawful, political movements such as Turkey's AKP. Erdoğan is less ferocious than Bin Laden, but he is more effective and no less dangerous. Whoever values free speech, equality before the law, and other human rights denied or diminished by Sharia must consistently oppose any hint of Islamism. Second, non-Muslims should support moderate and Westernizing anti-Islamists. Such figures are weak and fractured today and face a daunting task, but they do exist, and they represent the only hope for defeating the menace of global jihad and Islamic supremacism, then replacing it with an Islam that does not threaten civilization. July 7, 2013 update: Jeff Jacoby does an excellent job of summarizing this article in his Boston Globe column today under the title "What Is Islam?" Oct. 1, 2013 update: Six Commentary readers reply to this article and I then respond to them at "Islam's Future."